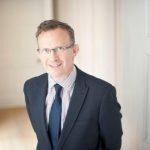 Dire performance has led to a £15 million penalty for train operator Govia Thameslink Railway (GTR) to go towards “tangible improvements for passengers”. 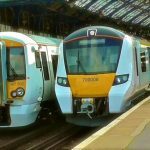 But GTR, which runs Southern trains, will be allowed to keep its franchise until it expires in September 2021 despite its “unacceptable performance” on its Thameslink services after bringing in a new timetable in May. In a written statement to Parliament Mr Grayling said: “The government is holding GTR to account for their role in the unacceptable performance following the introduction of the May timetable. “GTR will make no profit from its franchise in this financial year and, looking ahead, we have also capped the amount of profit that the operator is able to make for the remainder of its franchise, which is due to expire in September 2021. “GTR will be contributing £15 million towards tangible improvements for passengers. This is in addition to the £15 million the operator has already contributed towards compensation for passengers since the May timetable disruption. 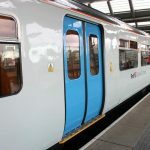 “GTR has agreed to work with the rail user groups representing passengers of Thameslink, Southern and Great Northern, who will determine what improvements this package will fund. “The (Department for Transport) has concluded that a termination of the franchise would cause further and undue disruption for passengers and is not an appropriate course of action. “Performance after the May timetable change was unacceptable. This action announced today holds GTR to account appropriately and will benefit passengers. “The department will continue to monitor closely the performance of GTR, particularly during the upcoming December timetable change. GTR is a joint venture between Go-Ahead, the company which also runs Brighton and Hove Buses, and transport firm Keolis. 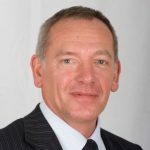 Go-Ahead chief executive David Brown said: “We recognise that the industry-wide failures in delivering the May timetable created huge difficulties for our customers and we are sorry for the poor service they received. “Since the introduction of the interim timetable in July, performance has greatly improved, and now includes over 200 new services for customers, with further additional services to be introduced this month.